I’m at my parents’ house so I’m posting this from my phone, but here are some badass ratty 356s. 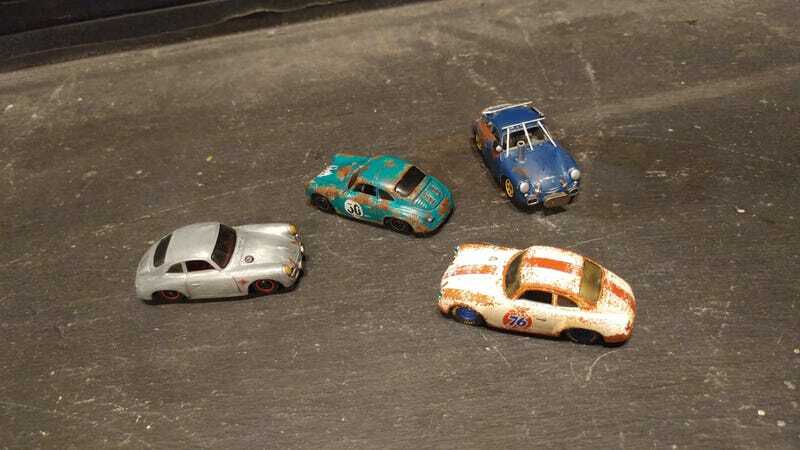 From left to right we have my bare metal 356, rust but trusty by forgeryfade, rusty racer by @schurtziecustomdiecast, and post-apocalypse by @ripcitycustomz. Love em all! Thanks for the 356 love this fine day, my fellow LaLDers! !